This low and remarkably modern looking 1946 Fiat 1100 Spider is a most significant machine: it was the very first car to be bodied by the just-established Carrozzeria Frua. The completed car, which was praised by the journals Auto Italiana and Motor Italia, was delivered to Luigi Critterio on 3 September 1946 and sold to Gino Bubbolini 25 days later. 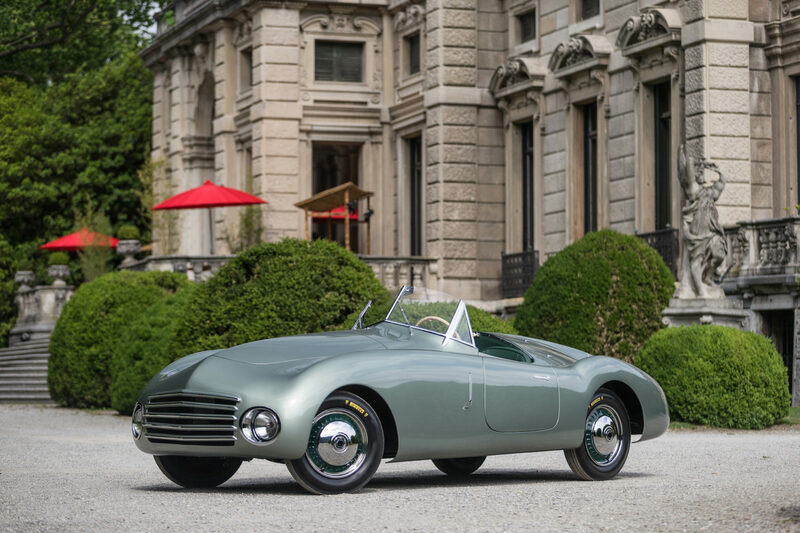 In May 1947, Fiat dealer Alvise DePasquale showed the Fiat at the Villa d’Este concours, where it won a Second Prize of Merit. There followed several changes of ownership, one in 1950 involving a switch from the original Milan registration to the Pavia one that the car retains to this day. A beautiful car like this will want insurance before it goes on the road, so why not contact a service like One Sure Insurance. Mr Monti, the buyer in 1950, was clearly very taken with his purchase and kept the Fiat right up to 1983. The current owner bought it, by now painted red, in the autumn of 2015 and together they tackled the 2016 Mille Miglia. Immediately afterwards he took the Fiat to Carrozzeria Gatti Luciano of Bergamo for restoration to the original specification and colour scheme. Following the completion of the work, the car returned to Lake Como for the 2017 Concorso d’Eleganza Villa d’Este, the best possible way to celebrate the 70th anniversary of its first appearance there.